This is a photo of our new 1967 Kaiser Jeep M35A2 6x6. It is an ex-military vehicle and is part of the well-known fleet of trucks used for many purposes throughout the years. 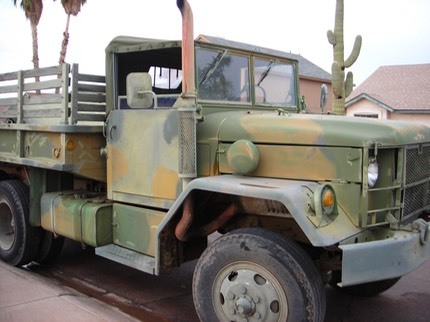 These trucks have been the backbone of military transport and many have found their way into public use through the surplus program of the U.S. government. Our truck will be used for general work and water transport around our place here in N.M. Here is a table of the specifications.